I am not against using sedatives for fearful dogs; especially with firework season coming up. While most dogs make progress with desensitization & counter conditioning, the addition of medication can help dogs with extreme anxiety. The purpose of this article is to highlight some of the troubling findings associated with one specific drug in particular – Acepromazine – and how it can make your dogs anxiety worse. Anyone that’s had a panic attack or dealt with severe anxiety knows how terrifying it is; and just like us our dogs can exhibit that same level of fear in certain situations. 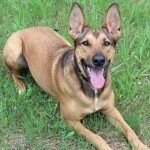 For dogs in particular anxiety is quite common during thunderstorms or fireworks. Many of us will be dealing with fireworks in a few weeks; and some of us are going to be asking our veterinarian for advice on medications to ease our dogs anxiety. The tranquilizer Acepromazine (Ace) is prescribed to many dogs on the 4th of July as a sedative despite it’s increasingly bad reputation. There’s been evidence that suggests Ace not only causes the fear to worsen, but that it can also cause a wide range of serious side effects. For Brachycephalic (short nosed) breeds the potential risk is especially high. In Boxers it’s been shown to cause a problem called first degree heart block, a potentially serious arrhythmia of the heart. Acepromazine (also known as Ace, PromAce or Aceproject) has been around for decades. 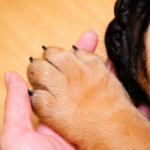 It’s used to prepare dogs for surgery, surpress nausea, and calm anxious dogs. Ace was the most popular tranquilizer prescribed to help anxious dogs for a long time, though it’s popularity has been declining recently. Ace works by blocking the receptors in the central nervous system; and the effects generally last between 6 – 8 hours. 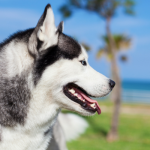 During that time many dogs have problems with their coordination; just walking around can be troublesome. 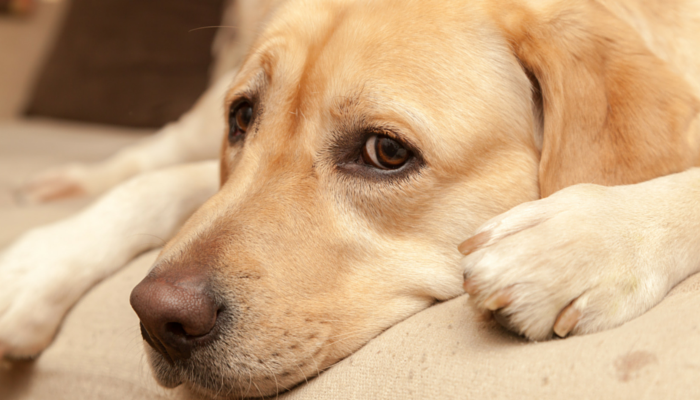 Your dog will appear sedated but his mind will be fully alert and functioning. Using Ace on a dog with extreme anxiety can make the phobia worse. Your dog will remain anxious and fearful, yet not have the ability to do anything about it because of the sedative effect. The use of Ace has been found to make dog anxiety worse in the long term by adding even more stressful associations to the original phobia. Sedatives themselves are no longer considered a good treatment option for dogs with anxiety due to their unreliability. To get the desired effect high doses are often used which can lead to many health risks. Here’s Dr. Karen Overall explaining the problem with using Ace for fearful dogs. Ace is far from the only medication available for anxiety. Today Benzodiazepines ( Benzos ) are the most commonly prescribed medications for sudden fear or panic. There are many that you probably already recognize – Xanax, Valium, Ativan, and Klonopin. But there’s also other classes of anxiety medications such as Tricyclic antidepressants, Monoamine oxidase inhibitors, SSRIs, and Buspirone. Don’t be afraid to ask you veterinarian about all the different classes of anxiety medications that are available; every dogs anxiety is a little bit different and they should be able to help you come up with a plan that’s right for your dog. Remember to ask about the potential side effects, how long the medication lasts, how long it takes to work, and whether or not the drug will decrease the anxiety itself. You have many options available; if your veterinarian suggests Ace don’t be afraid to voice your concerns and ask about alternatives. It is unfortunate that acepromazine continues to be used and prescribed for fearful and anxious dogs. If your dog is being treated with this medication for his fears and phobias, please talk with your veterinarian about a more effective alternative. – Lorie Huston DVM, Is Acepromazine a Good Medication For Anxiety? Using management techniques such as desensitization and counter conditioning in conjunction with anxiety medication for dogs with noise phobias has been found quite effective. Finding the calming techniques that work for your dog can make a big difference. Here are some helpful articles with some great pointers on helping your dog cope with his fears during storms or fireworks. How to Keep Your Dog Happy When Fireworks Go Off – Using Science! If you know anyone that uses sedatives for their fearful dog please pass this information along. The risk of using Ace is not worth it; rather than alleviating fear it’s known for making it worse. I am not a veterinarian; this article is intended to provide you with information and questions to bring up with your veterinarian if you’re considering anxiety medication for your dog. Very, very interesting! I didn’t know about ACE (I’m not sure if it is used for cats). I’m glad I read this because I will be aware of it if it ever comes up in a discussion. Personally, I use pharmaceuticals as a last resort. I try using holistic methods of resolving the problem first. From what I read Ace is used on a lot of animals; and it’s usually given as prep for surgery. But there are still some vets out there that prescribe it for dogs with anxiety although there seems to be a lot of much safer options available. Very interesting. I always recommend sedatives as a very, very last resort. The slow metabolism of pyrs makes proper dosage difficult and can lead to more behavior problems. I wasn’t familiar with ACE – great info! Luckily I haven’t had to use any; but when I started reading about Ace & realized it’s going to get prescribed on the 4th of July I wanted to help get the word out that there’s so many better alternatives. I researched ACE a bit last year and learned the thing about the dog being sedated but fully alert in his mind. I will never use it now that I know that. Sharing your post – people need to be aware of this. I couldn’t imagine a scarier scenario – being completely stuck in a situation where you’re terrified – unable to move. Gives me the creeps just thinking about what that must be like. Such a great article and important around this time of the year! I’ve always tried to avoid it with the Newfs as a sedative or pre-op because by dosage standards they need so much but in reality a little will do. Most vets know this but we’ve come across a few who are not familiar with the breed so we just avoid it all together! Wow, I did not know this. Neither of my dogs seem to be bothered by fireworks but when they are, I close up the house, put on the AC and turn up the TV. In the past few months Sampson has become very unsettled when it is windy, those times he usually does okay if we can go somewhere and sit together. I’ve shared it on Facebook as I know some of my friends have anxious/fearful dogs. I can’t imagine how helpless a dog would feel taking this medication. I agree that there are better choices than Acepromazine for fireworks anxiety . We have good luck with Thundershirtrs at the vet hospital I work at. What a great article! Years ago at the vet clinic where I worked, we used acepromazine mostly as a pre-surgical tranquilizer, since one of its benefits was decreasing any nausea that might be experienced from the anesthetic gas. However, one of our doctors also prescribed it for sedation and anxiety, while the other doctor preferred Valium instead. Personally I never liked using these drugs at all for anxiety, since as a Vet Tech I knew there were always risks. To me, behavior modification and desensitization always made more sense, if those were options for the patient. Thank for writing this article. Very informative. I recently had my dog fixed and I later found out that he was prescribed ‘Ace’ for freaking out after coming out of surgery. It was not written down on his invoice at all, we were told that he was given a sedative but didn’t know what one. Later that day he completed attacked my sister and I and I started researching the sedatives out there. I came across your article and a bunch of others. After reading them I phoned the vet back and asked what they gave them and he said ‘Ace’. I asked him why that sedative and he said because he was thrashing about and making noises. I was very upset that I wasn’t told or asked if this was okay to give him. With all the other anxiety medication out there why this? The next day he became more himself and a bit more alert with us. We have a ferret too so of course our concerns were extremely high. I just wish we were told of this so called ‘Ace’ and actually talked with the veterinarian who preformed the procedure in person. Very disturbed by all this. This medication should never be allowed to be administered after coming out of surgery or anxiety. We wish we never put him through this. Thank you for sharing your story. I’m not sure why some veterinarians still prescribe Ace either; as you said there’s so many other anxiety medications to choose from. One of the possible side effects of Ace is agressiveness and stimulation, so the fact that your veterinarian didn’t even tell you about it makes it even worse. Any medication like that should be discussed beforehand and properly disclosed.